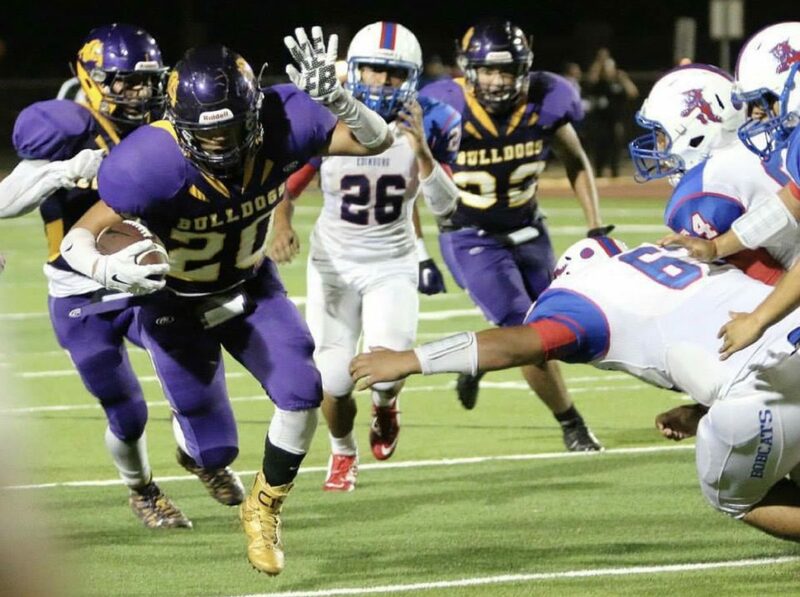 The last time McAllen High football advanced to the second round of the playoffs, the Bulldogs clashed with Brownsville Rivera. The game was close and high scoring. Late-game drama flowed into overtime. 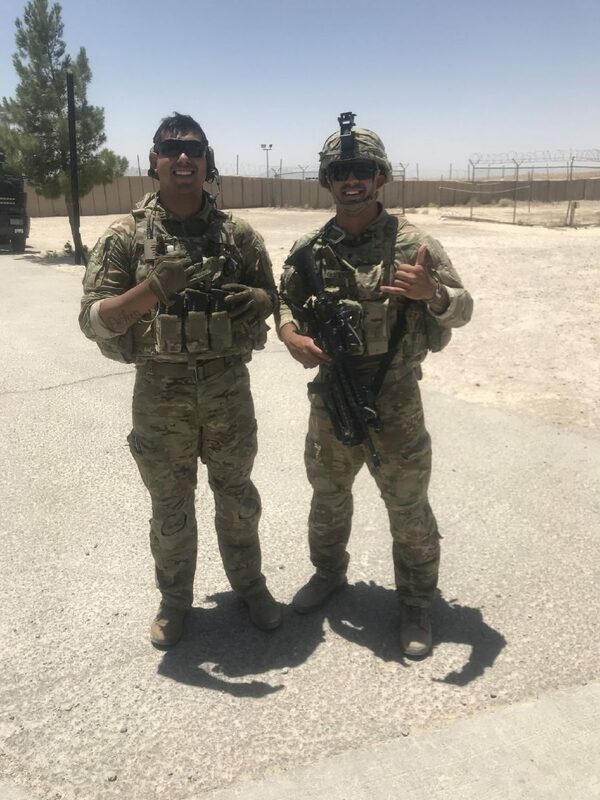 Ruben Gutierrez and Jose De Leon first discovered they were both on the field for that game as they walked through a desert in Afghanistan. They had to discuss all of the details. Gutierrez was a junior starting at defensive back for McAllen High for that 2014 clash. De Leon was on the defensive line for Rivera. The Raiders prevailed 36-29, and Gutierrez and DeLeon both went on to graduate in 2015. Gutierrez closed his high school career without any offers to play at the next level. Eventually, Gutierrez settled on the U.S. Army, because he said he knew that path would help him pay for his college education. Before he knew it, Gutierrez, who had never really been outside of the Valley, was waking up at 4:30 a.m. to go running in subzero temperatures with snow on the ground. He was stationed in Colorado, which means those runs were made even tougher because of the elevation. While Gutierrez was going through basic training in Missouri, he was unaware that De Leon was also beginning his Army career. The two were stationed together in Colorado, but never crossed paths. Gutierrez was then sent to Afghanistan, where he is currently stationed. He is a mechanic, specializing in work with hydraulics. De Leon is also a mechanic. Soon enough, the two were sent out on a mission together. They still didn’t know each other, but Gutierrez had a hunch. Gutierrez: Oh no way, I’m from McAllen. De Leon: Did you play football? Gutierrez: Yes, what year did you graduate? And with that, the conversation quickly turned to that second-round matchup in 2014. Rivera won when its quarterback, Danny Elizondo, rushed the ball into the end zone from a few yards out. He was met at the line by McHi defenders, but he fought through the helmet-to-helmet hit and plunged over the goal line. Gutierrez and De Leon connected and gave each other a slice of home. Gutierrez hopes he is not done with football. In Afghanistan, the temperature can get up to 120 during the day. When Gutierrez, De Leon or any other member of the armed forces leaves the base, they are wearing full gear, including a 45-pound vest, a weapon and a helmet. One method to combat the heat was to wet a sock and put a water bottle in it. The bottle and sock placed in a window sill, then start to cool off just enough to make the water a little more tolerable, otherwise, the water is just hot. Like all members of the armed forces, Gutierrez had to make sacrifices in service of his country. Gutierrez can’t wait to get back home, see his family and get a fresh order of tacos. Until then, he is focused on his goal of returning to the football field. 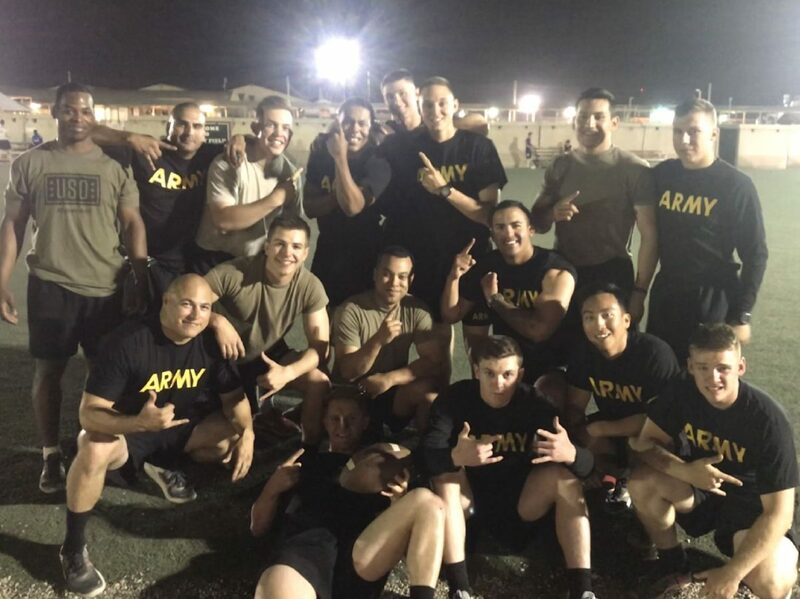 Gutierrez said he still works out regularly, and he and some of his squad mates hold weekly football games. Since Rivera beat McHi twice, De Leon is one of the few people who has earned bragging rights against Gutierrez. “He basically trash talks me every time we see each other,” Gutierrez grinned.